This is the first of a monthly series documenting my journey into entrepreneurship! I have spent many a year dreaming about starting my own creative business, and during that time have scoured the internet for hours, reading every article I could find by business owners small and large about how they did it, how they quit the day job and set up on their own. I found reading these stories inspirational and comforting. Hearing the ups and downs and the humble beginnings made me feel like maybe I could do this. Maybe it wasn’t some crazy pipe dream. So, after years of dreaming I did just that! I want to share my business journey with you all, from the very beginning, so that my story can be a comfort (and maybe, some time soon, an inspiration) to others out there who are thinking of taking the plunge into being a business owner. For as long as I can remember I have loved to make and create things. 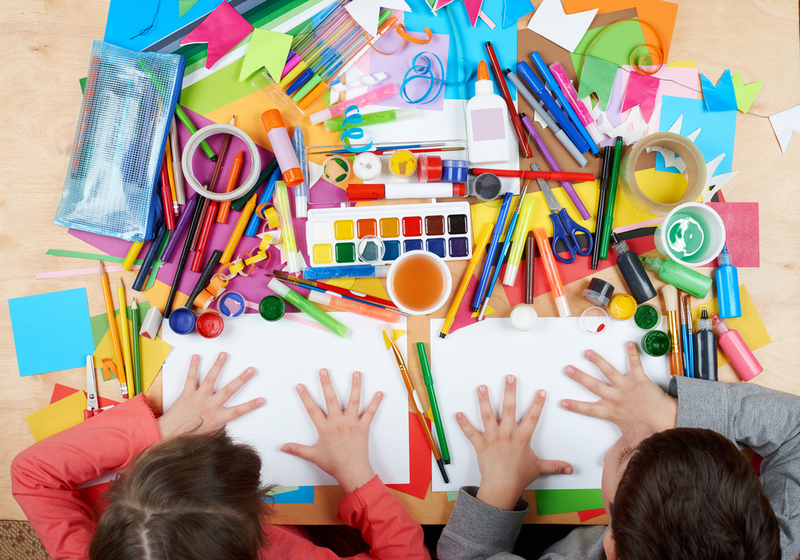 It was always craft day at my house, making puppets, chicken wire sculptures, cushions, photo frames, painting furniture; something new was being made every week. I remember watching Changing Rooms as a child (if you’ve not seen it, do look it up, the pinnacle of 90s interior design!). I asked my mum how could I get to be one of the TV designers and begged her to let me decorate my bedroom over and over again. Design has been my dream for as long as I can remember. Fast forward to 2006 and it’s time to choose a degree: I’m torn between studying Interior Architecture or Product Design. The pull to make things on a daily basis was too much and I chose product design, but interiors were never far from my mind. After finishing my degree I went on to do a masters at Northumbria University and headed off down to London to make my fortune (or not as it turned out). In London I worked as a digital designer for 18 months before deciding that London life wasn’t for me and I headed back home to Newcastle where I moved from design to marketing. I remained in marketing for the next few years, going from client side in Newcastle to agency in Edinburgh. No matter what job I was in I always felt that something was missing, that this wasn’t what I should be doing. 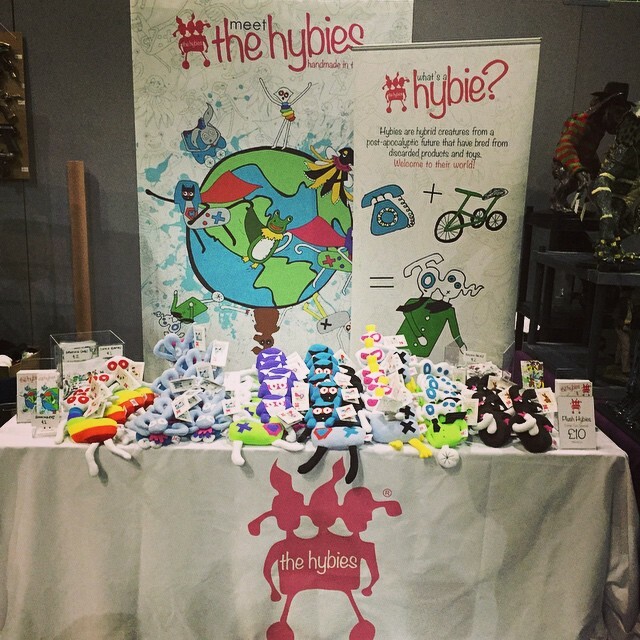 The thought of running my own business was not a new one, I had even developed my own range of children’s toys called Hybies, which unfortunately had never quite taken off. I realised that to launch a new product like a toy, you needed a huge amount of start up income which I just didn’t have. After a failure your confidence is knocked and it takes a while to pick yourself back up. I knew I wanted to be my own boss and have my own business, but the toys were a no go. It wasn’t until 2016 when we (my fiance and I) bought our first flat. I was finally able to decorate as I pleased and my passion for interior design was reignited. I was able to put my own stamp on things after years of renting and I absolutely loved it! It was then I started to think, maybe this could be it, this could be the business. As well as design I also made a lot of my own soft furnishings, and upcycled furniture. After getting a number of compliments on my work I decided to set up an Etsy shop and see if they would sell. A couple of weeks after listing my chairs, I sold 8 in one week! It was such a huge buzz that I was hungry for more! I starting making lots of new products and listing them to test the waters and see how they sold. At the same time I was also trying to get as much interior design experience as I could, doing designs for friends and family members for free. I started to think that maybe I could do this, and maybe it would work, but if I was going to make a serious go of it then I would have to leave my full time job, as it was becoming too difficult to do both. I got married in September last year and when I came back to work after our honeymoon something had definitely changed. We no longer needed to save money for the wedding and all I could think about was the interior design business. We had some savings leftover and I decided to take out a small loan to get me going. I was already selling reasonably well on Etsy and I had tested the waters enough to be confident that the business had the potential to work. I handed in my notice and had my last day 27th October last year. I might only be five months in but it’s the best thing I have ever done. Now, I’m not raking it in yet, and there is still a long long way to go, but things are growing each month, and I’m where I had planned to be by now which is really all I can ask for. There are of course huge ups and downs, when I win a piece of business or make a sale it’s the best thing ever, but then you can go days where nothing happens and you begin to question it all! I’m trying to get better at that but it’s a process. So that is my story so far! I hope in these pieces I can address different issues that new creative business owners face, and also hear your stories!